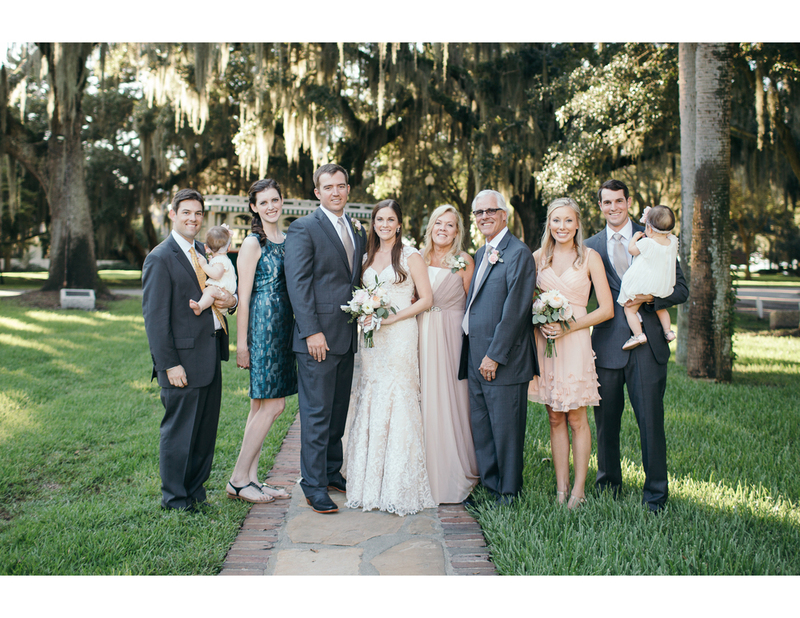 Today’s blog post features a wedding that feels so classic and is yet so one of a kind. 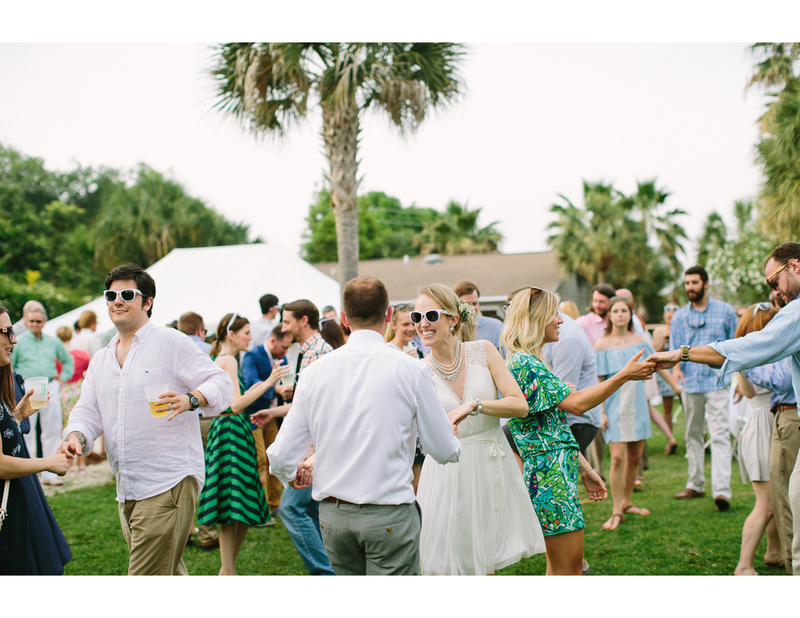 Libby and Michael were married in St. Simons, GA in what the bride describes as, "an eclectic mix of modern, clean, rustic, neutral, and relaxed.” Think a backyard wedding with a local judge as the officiant; music playing from a stereo and dancing in the grass; cold beer and all your closest friends. 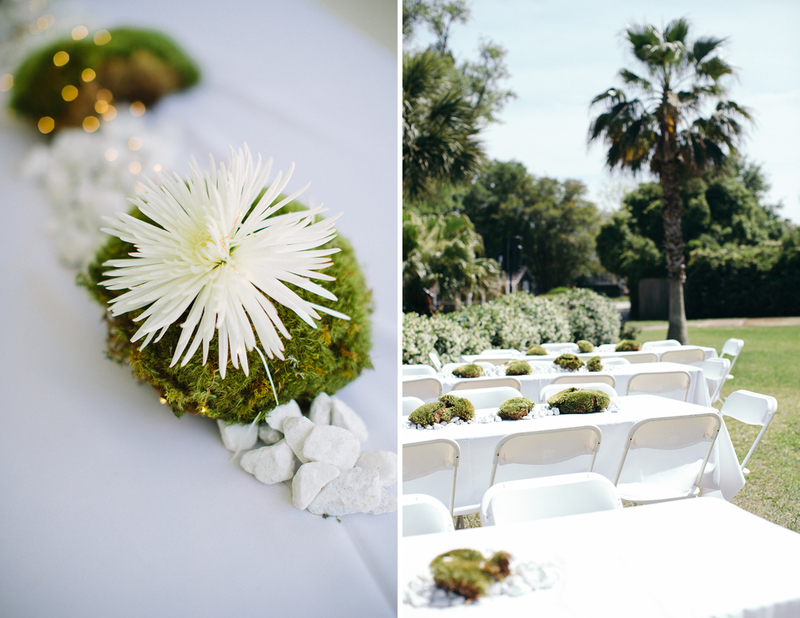 Libby and Michael’s wedding and reception had a clear theme—relax, enjoy, celebrate! Here’s my favorite example—the timeline had the ceremony start time as "3:00-ish” in order to "give time for the late-comers to get there” :) I love it! 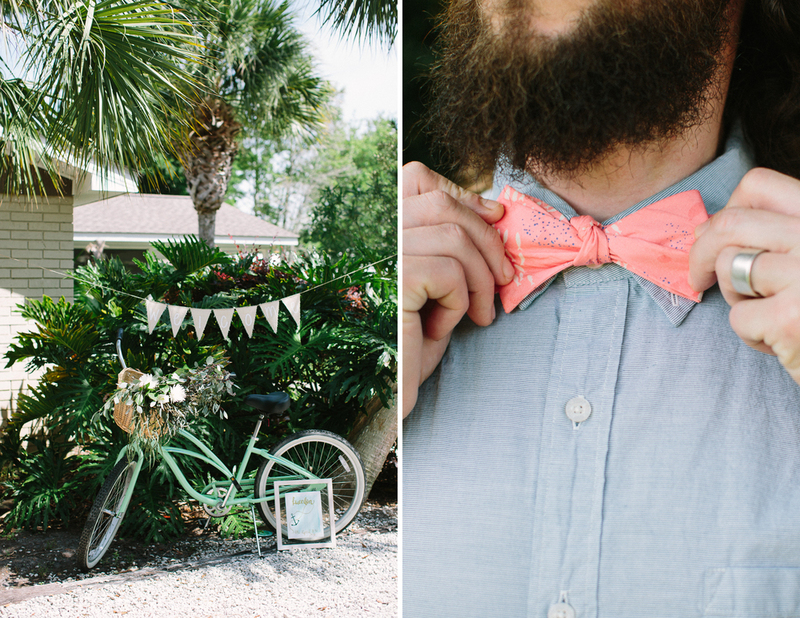 If you’re planning a backyard wedding of you’re own you’re sure to get lots of ideas from this wedding. Enjoy! 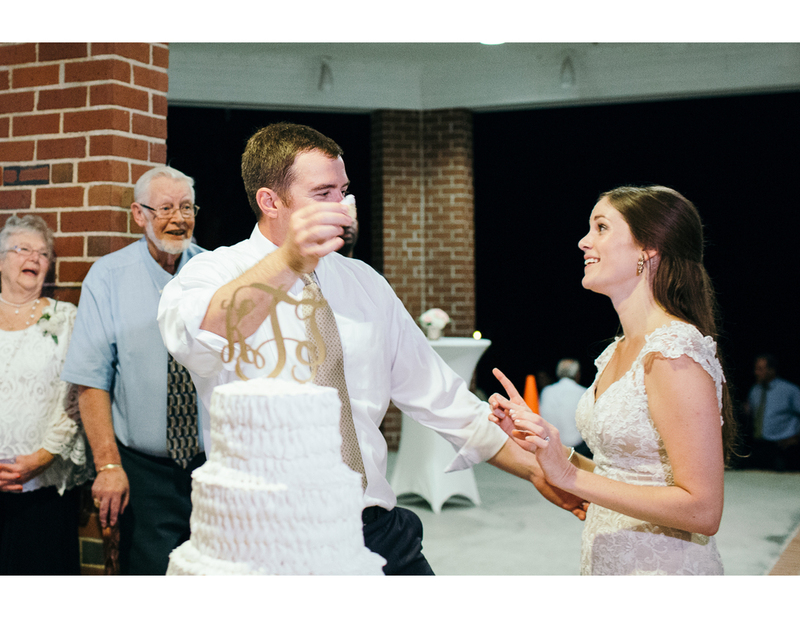 Libby's trick for keeping all of the wedding plans together and staying sane? "Keep a small notebook to jot down ideas, make your guest list, etc. An excel spreadsheet is also handy for addresses (Minted has a great template). Make a note on your phone to capture those "I'm out and I left my notebook at home" idea moments--you won't remember them later. Also, delegate-- planning a wedding was a lot more stressful towards the end than I thought it would be! 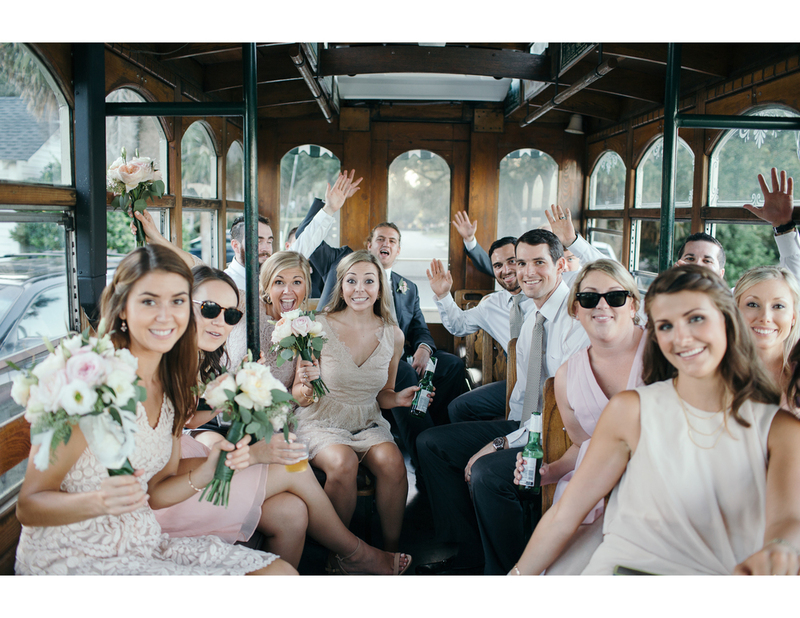 SUCH a fantastic example of a wedding as a party for a couple so loved by their family and friends! I had a great time photographing it and have to agree with Libby when she says she wishes she could, "Add more hours to the day so we could spent more time with our friends and family!" :) Congrats, Libby and Michael! Wish you all the best! 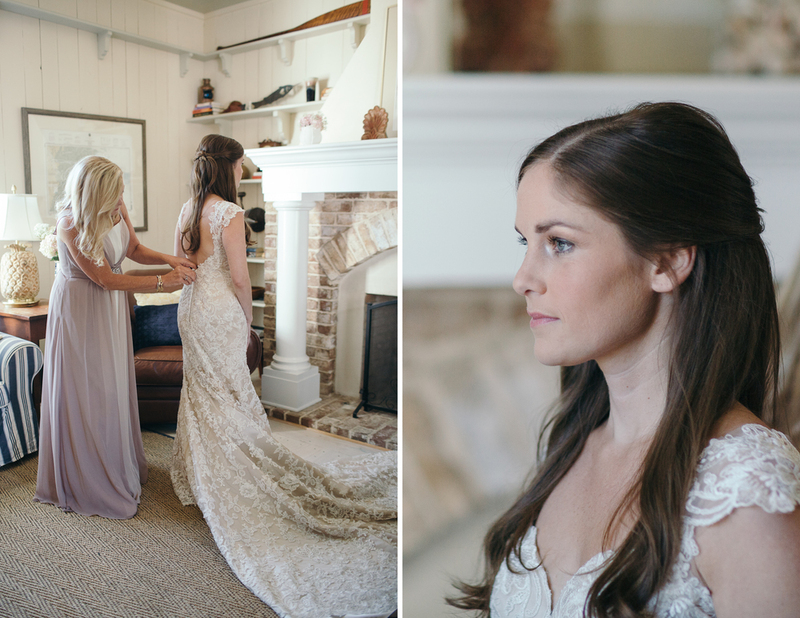 This St. Simons Island wedding has been on the drafting table for a while now and I'm glad to finally share it with you! 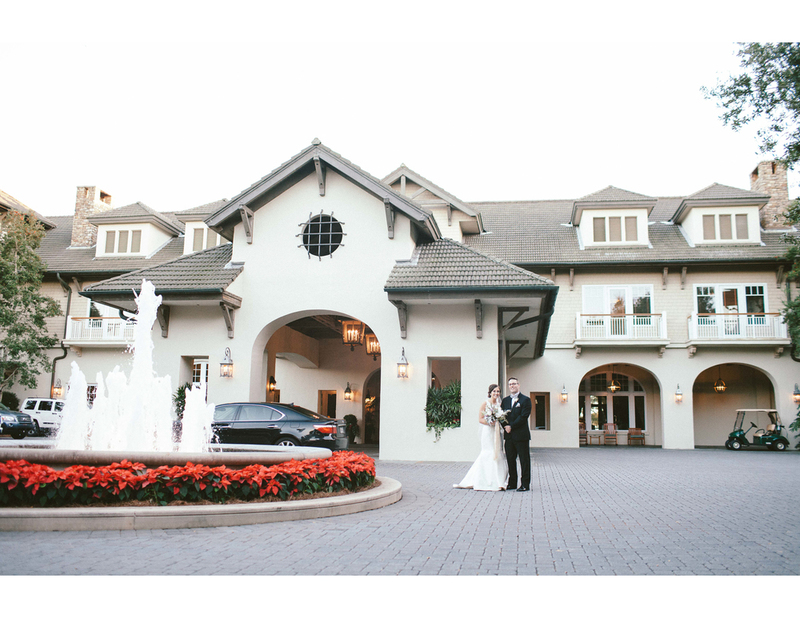 It takes place at the beautiful Sea Island's Avenue of the Oaks and is as romantic as it is timeless. 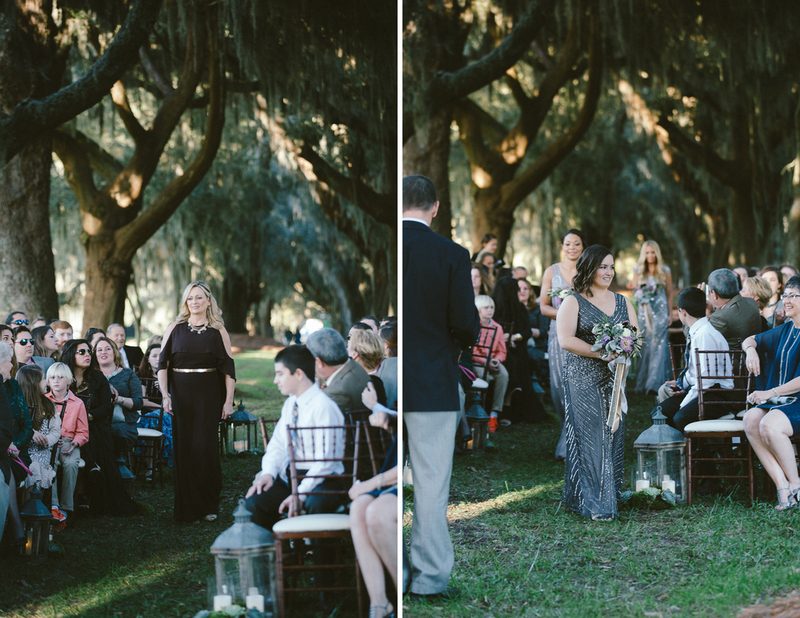 Ancient oak trees, draped with moss; lots of vintage jewelry and heirlooms, bridesmaids in glittering shades of lilac. As Lauren describes, "We were going for a classic and timeless look that we could look back on years from now and not regret a thing. We tried to stay away from current fads when it came to our style." 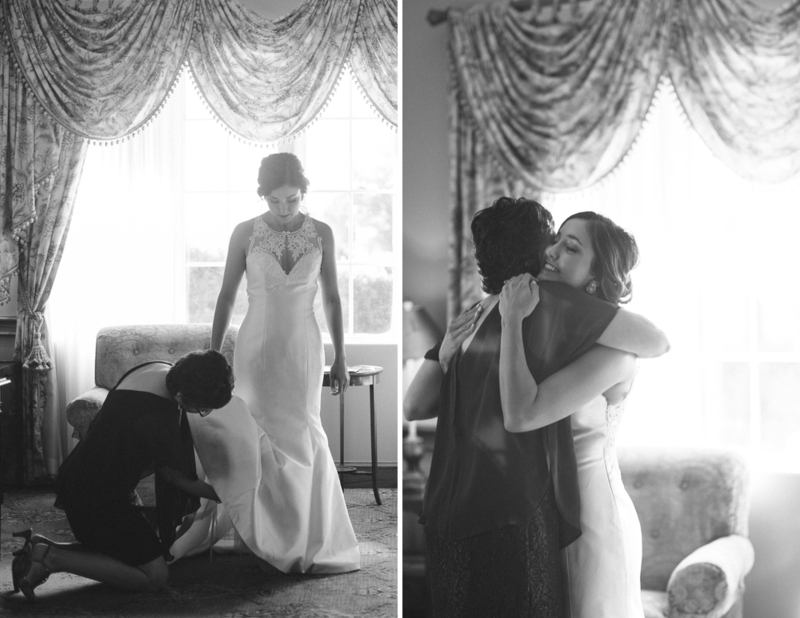 They absolutely achieved this from beginning to end and I so loved working with Ashley and Lauren. Wait till you see the photos, these two are a blast! "Being able to wear my Grandmother's wedding jewelry was so special. 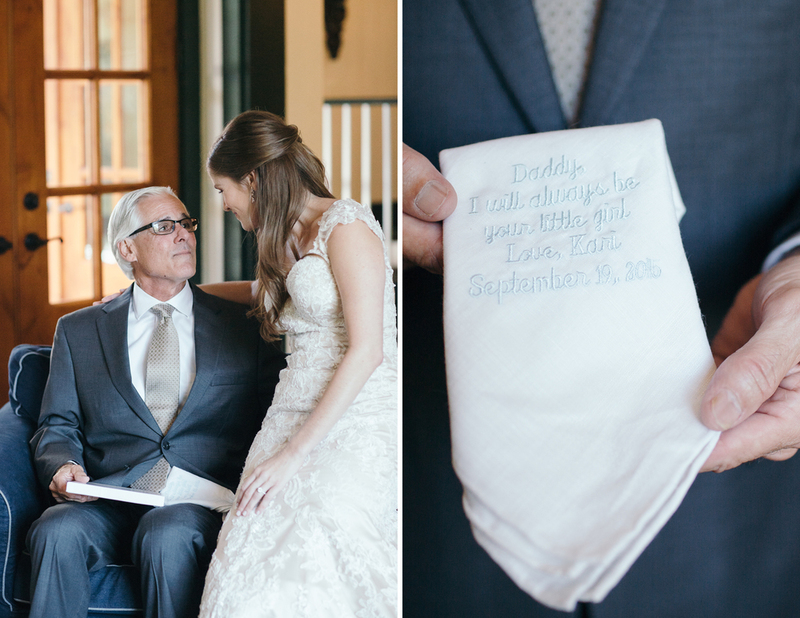 It was a surprise for her, and I could tell it meant so much to her for me to be wearing it." " Ashley and I were engaged for a year and a half, which gave us a LOT of time to consider, reconsider (and reconsider again) what we wanted our wedding day to be like. How it all turned out was better than we could have ever imagined. 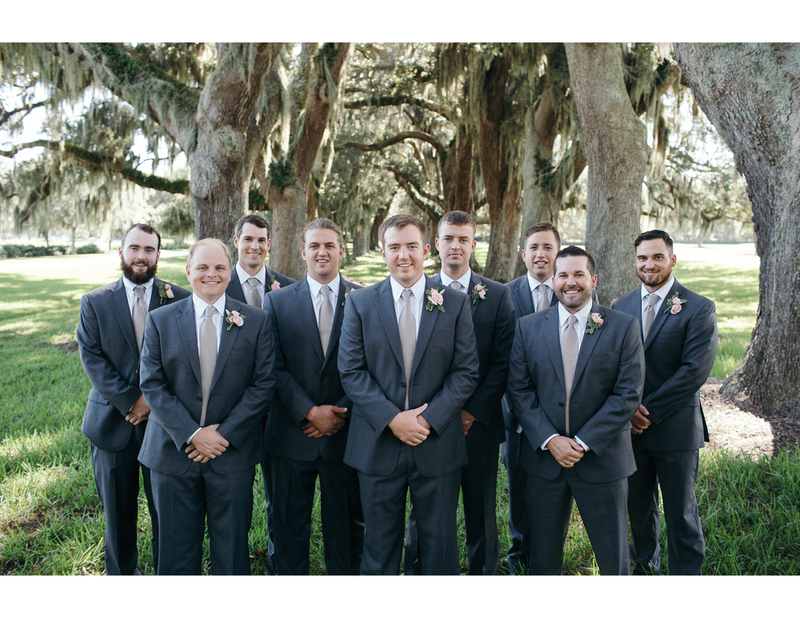 The boys played golf the morning of the wedding while the girls had mimosas and tea sandwiches in the dressing room. 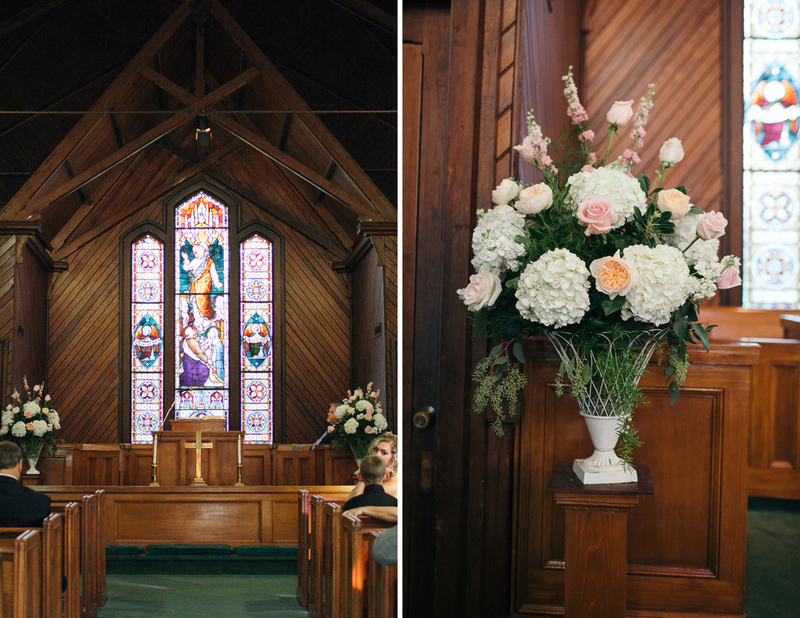 The ceremony venue was so naturally beautiful, we didn't need to do anything in terms of decor. It created the perfect scene for such a spiritual and romantic event. We lit a unity candle while our brother-in-law, Trent, sang with the string/flute trio which ended up being a very special moment during the ceremony. Our reception was so much fun!! It was such a wonderful feeling to be surrounded by loving friends and family, and to just let loose and have a good time. 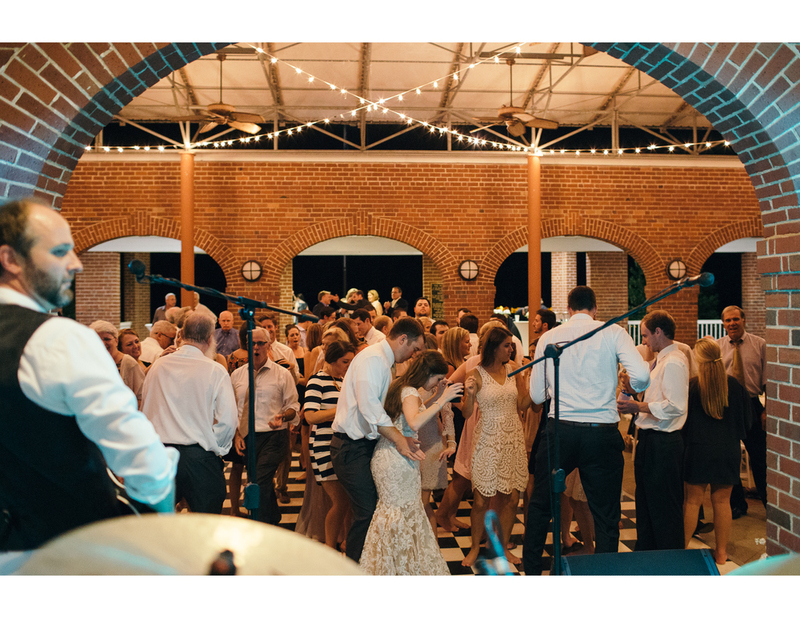 The band kept everyone on the dance floor all night...we never wanted it to end!" 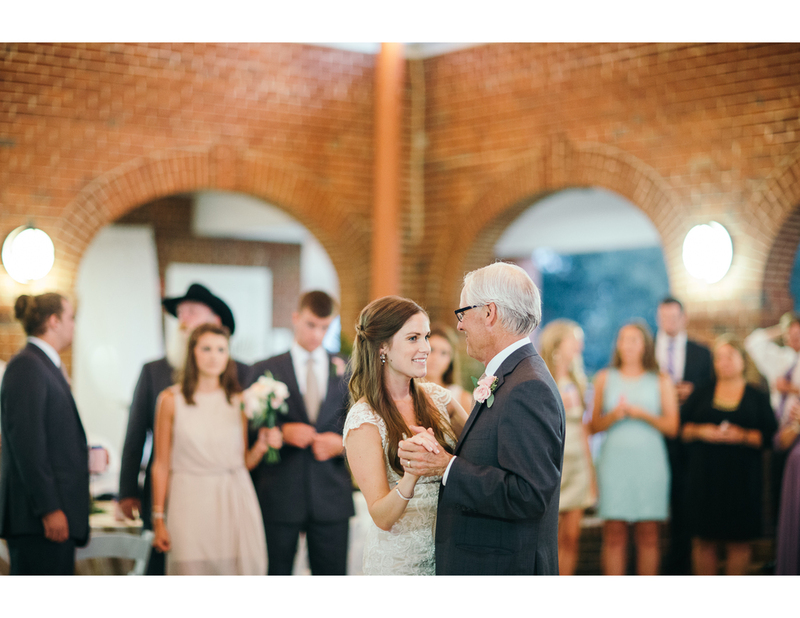 This was one of my favorite weddings of 2015 and it's such a joy to see the photos all over again! I guess that's the upside of being way behind on blog posts ;) Ashley and Lauren we love you and wish you all the best! Whew! October is absolutely flying by! 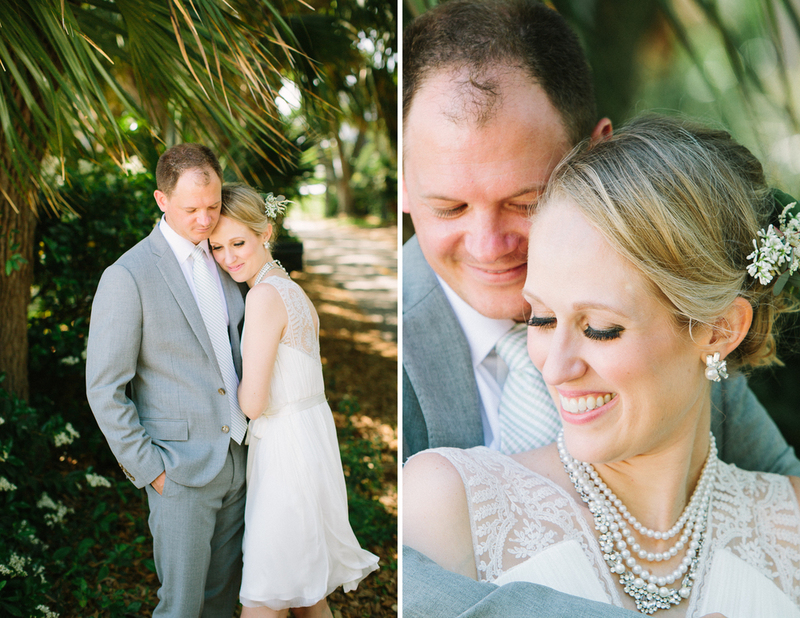 I can't believe that it's already been a month since Kari and Thor's amazing St. Simon's Island wedding. 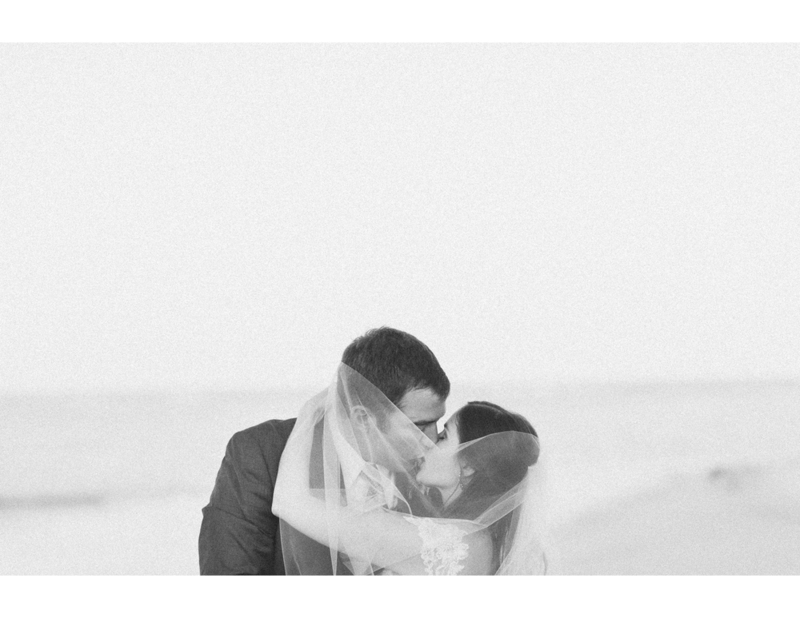 I am so excited to share their photos with you! Mostly because when the preview of images went up on Facebook you all freaked out. Which is my favorite thing to happen. Their photos resonated with so many of you because in them you could see how laid-back and genuine this couple is. 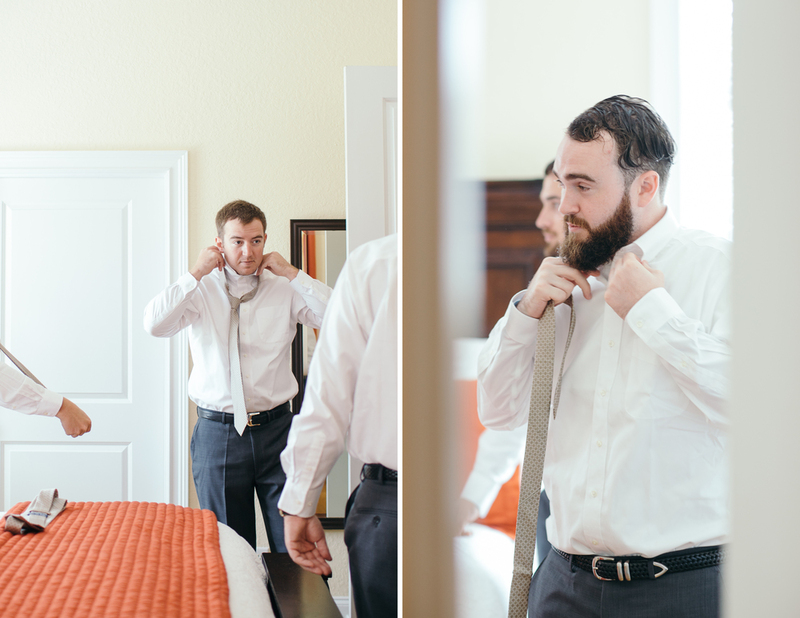 Every minute of their wedding day was just so fun and romantic--nothing stressful or fake about it! I loved being a part of it, from beginning to end. 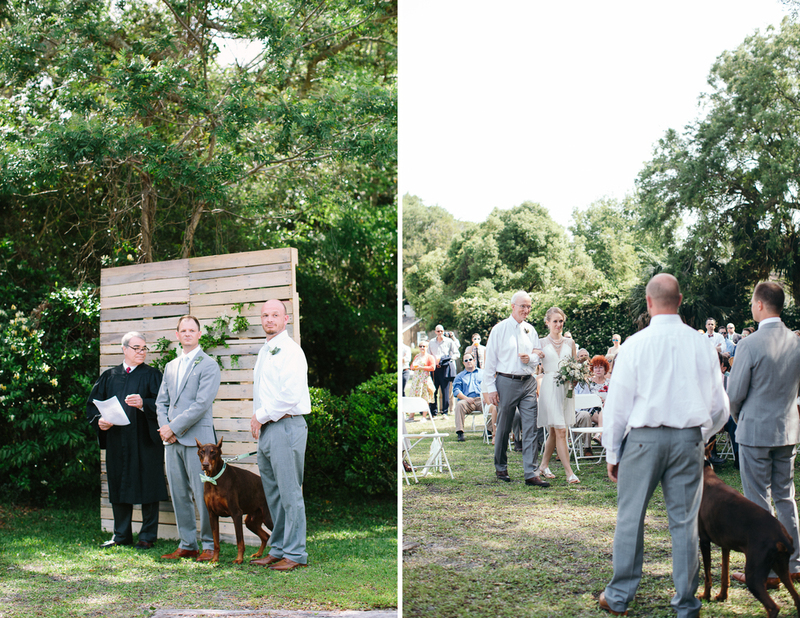 Kari and Thor had so many awesome people at their wedding and helping make their day as special as can be. So, now for the wedding! When I asked Kari about her wedding day she reminded me that it had been so rainy the week of the wedding. She said that, "when I woke up to sun shining and birds chirping on my wedding day, I knew that was God saying "alright, here we go!" 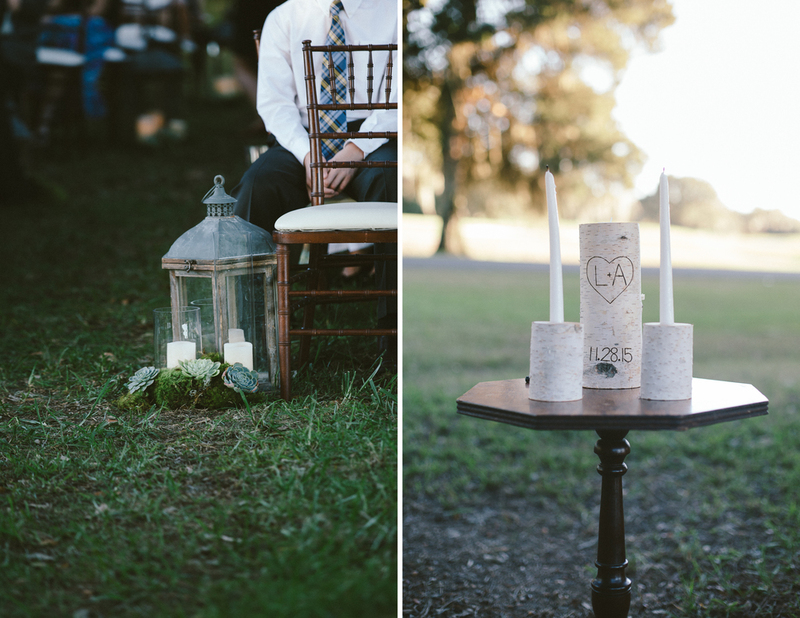 This wedding has so many sweet details that I wish I could be sitting right next to you saying "oh you'll love this!" or "did you see...?" but I can't so you'll just have to scroll slowly and notice all of the things. :) There are some really sweet gifts exchanged and a priceless first look between Kari and her brothers. 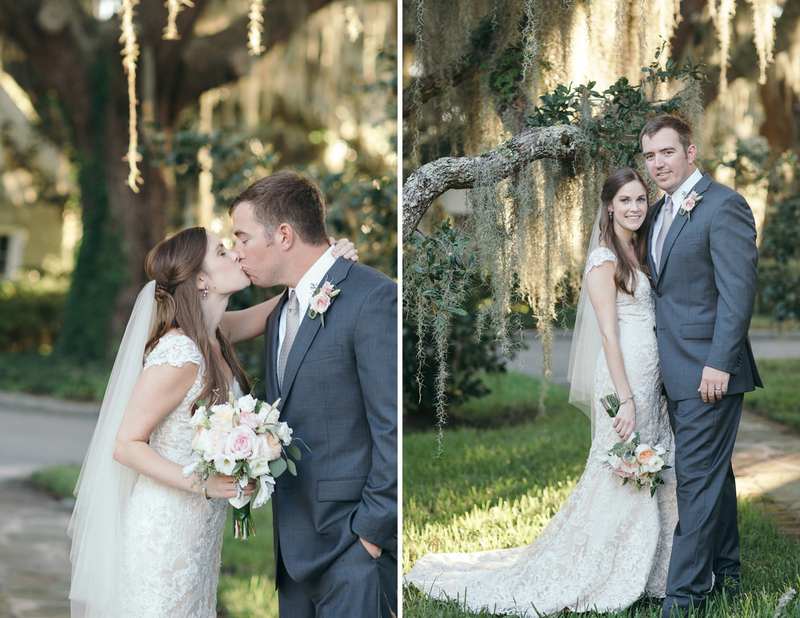 So without any further ado, welcome to Kari and Thor's romantic, relaxed, Southern wedding day! "My grandmother and I were very close before she passed away. Since she couldn't be there for my special day, I had a piece of lace from her wedding dress wrapped around my bouquet." 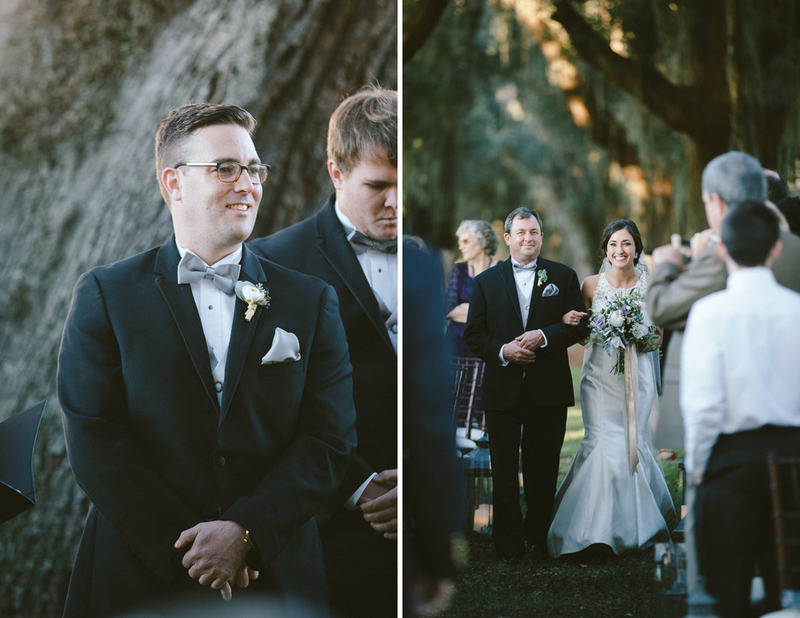 Their wedding ceremony was held at Lovely Lane Chapel on St. Simons Island. 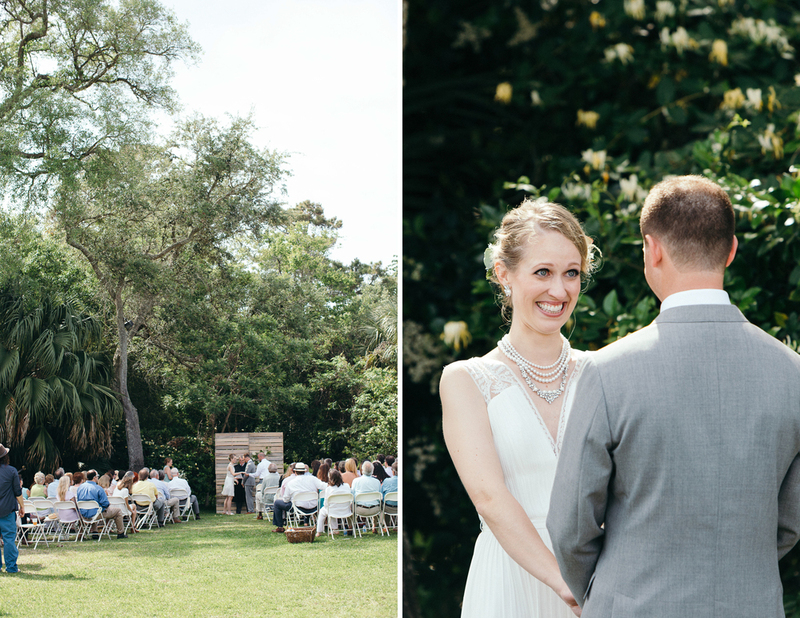 The picturesque setting was everything Kari could've asked for in a romantic, Southern wedding! 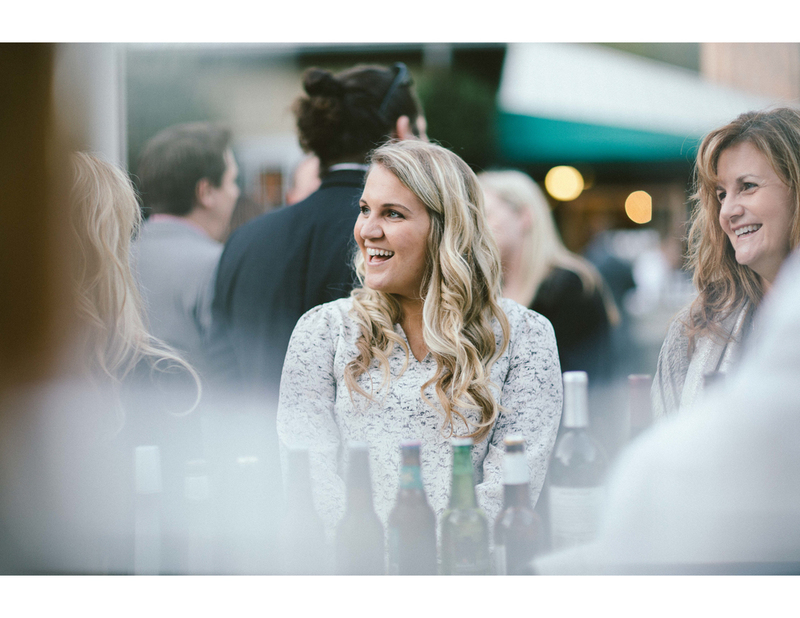 But they brought their own laid back charm to the day by forgoing a wedding planner and making a few details themselves. The wooden sign displayed outside the chapel that they DIY'ed is going to be hanging up in their home later--such a great idea! 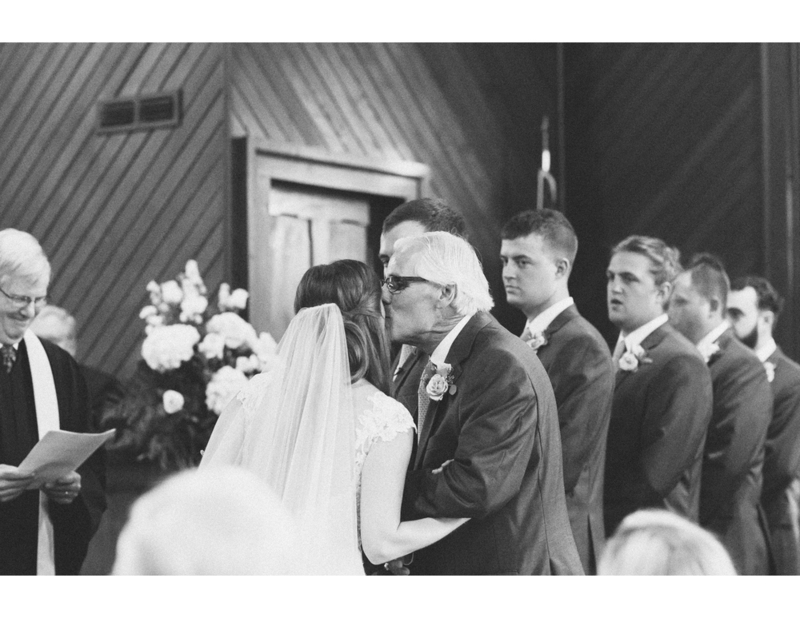 "Seeing his smiling face as I walked down the aisle was a memory I will never forget. I wanted to do a first look because I knew I would be nervous, but Thor held firm on keeping it the traditional way. I was a ball of nerves all day, but I wouldn't trade that moment for the world! I don't think I've ever seen him smile that big!" "Our personal vows. It was hard to get through them (happy tears! ), but I still think about every word we exchanged while we stood up there. Even though we were in front of family and friends, I felt like Thor and I were the only two people in that room. It meant so much to exchange our true promises to each other on that day." 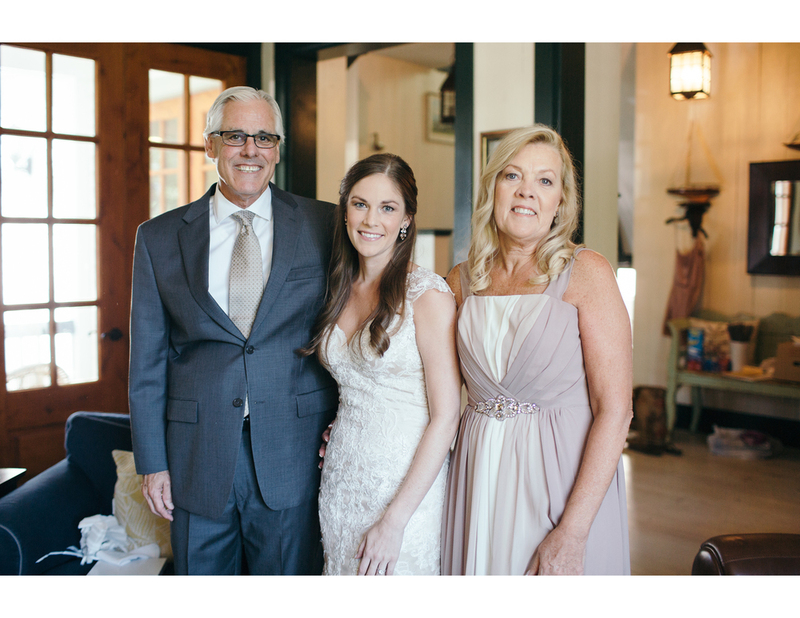 Kari and Thor, thank you thank you thank you for including me in your beautiful wedding day! I had such a good time and am so grateful for you both. Wishing you all the best! Merry-almost-Christmas! 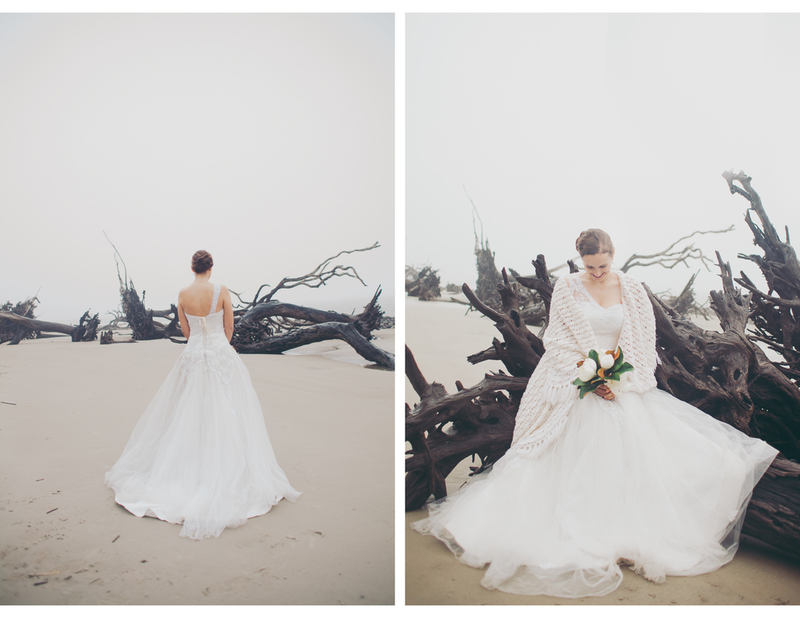 This cold, foggy day in southern Georgia was just perfect for our bride's portrait session. The shoot was intended to be a longer, "trash the dress" styled shoot but we never got there. When the fog gave way to (cold!) rain we had to call it a day! 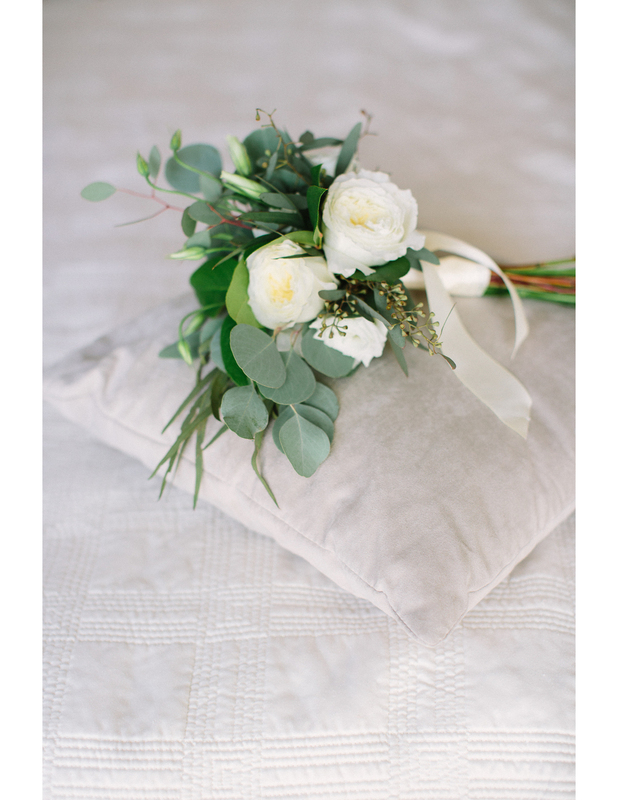 Her simple magnolia flower bouquet was improvised for the shoot. I love the deep ruby lipstick with this foggy backdrop. Simply exquisite....!